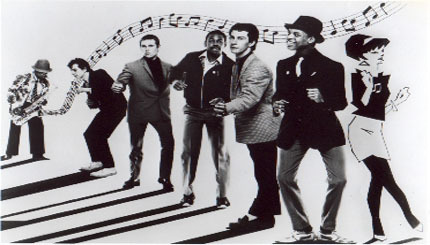 The Beat (known in North America as The English Beat) are a 2 Tone ska revival band founded in England in 1978. Their songs fuse ska, pop, soul, reggae and punk rock, and their lyrics deal with themes of love, unity and sociopolitical topics. The Beat released three albums: I Just Can't Stop It (1980), Wha'ppen? (1981) and Special Beat Service (1982), and a string of singles, including "Mirror in the Bathroom", "Too Nice To Talk To", "Can't Get Used To Losing You", "Hands off She's Mine" and "All Out To Get You".